The use of energy is a significant environmental impact of our activities. We are committed to taking the use of resources in our operational strategies fully into consideration. It is essential that all our local sites drive positive change through enhancing initiatives and optimisations. Continuous efforts are currently being made to reduce energy consumption and adopt more responsible practices. As a Group, we strongly believe that these initiatives reflect our customers’ demand to work with a responsible supplier. 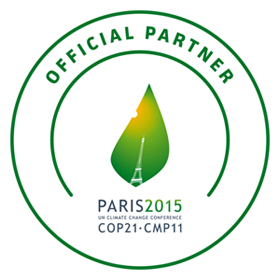 To reinforce its commitment, Antalis has been the official paper partner of the United Nation Framework Convention on Climate change in 2015. With this partnership, Antalis has acted as the leading paper merchant, conducting its business activities in a responsible manner, ensuring its environmental impact is reduced to a minimum, and promoting recycled papers which has a lower impact on the environment.